It's very important to manage various tasks of the organization using smart solutions as it increase the efficiency and effectiveness due to automation, self-management and digitalization. SOS manage and track visitors, allows selective access to buildings and improves the overall visitor experience. Comprehensive enterprise solution for visitor registration, tracking, reporting and management of assets. This automated system used to keep track of check-in/check-out time and office location information of employees on real-time. With active RFID technology, it may help managers to locate employees and keep track of working hours. Solution consists of Smart Lockers, an employee no longer needs a time specific, one-to-one procedure for keeping personal belongings and can be placed securely into a Smart Locker compartment and the system automatically tracks reserve/release/ open and notifies at their convenience. Smart office suite is a combination of technologies such as Active RFID, NFC, biometric readers, door access controls, smart lockers etc. Due to large no of employees and assets, it had been extremely difficult and cumbersome for office administration to manage offices with their existing manual procedures. 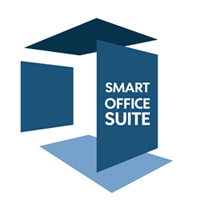 Smart office suite is made to break barriers and it has developed by using innovative technologies.